i've never been a huge halloween fan. as a kid, i enjoyed it because 1. candy and 2. fun costumes, but that was where my love for it ended. i don't like being scared, and i really don't like walking around in the dark while pretending i'm not freezing cold. 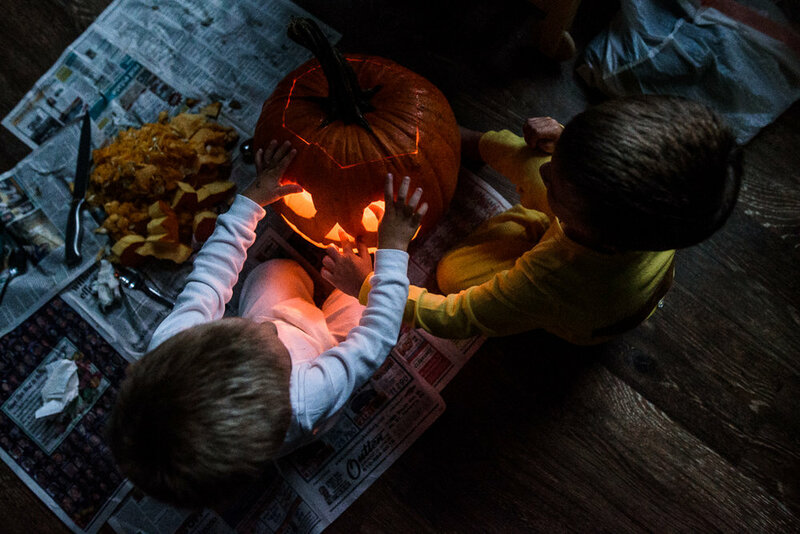 i do, however, have very fond memories of the days leading up to halloween, when my family would make our annual trip to the pumpkin patch, spend an hour arguing over the best pumpkin, and finally come home with the biggest one my dad could carry (and some extra little ones that we could each manage on our own). and then, we would carve. my brothers and i would take turns drawing the faces we wanted onto construction paper, and then my dad would copy those faces (as best as you can copy the doodles of a 5 year old) onto the pumpkin's face- but only after we took our turns emptying the insides of our pumpkins with much excitement and exclaiming. and once the faces were carved and the candles were lit- magic. i've mostly lost that sense of magic when it came to this holiday over the past few years. i suspect it has a lot to do with getting older and seeing the more practical side of things, but also the distance away from the experience of magic caused it to evaporate more quickly from my memory as well. luckily for me, i have children who help to pull those years back from the far reaches of my heart and bring those memories to the forefront of my mind. 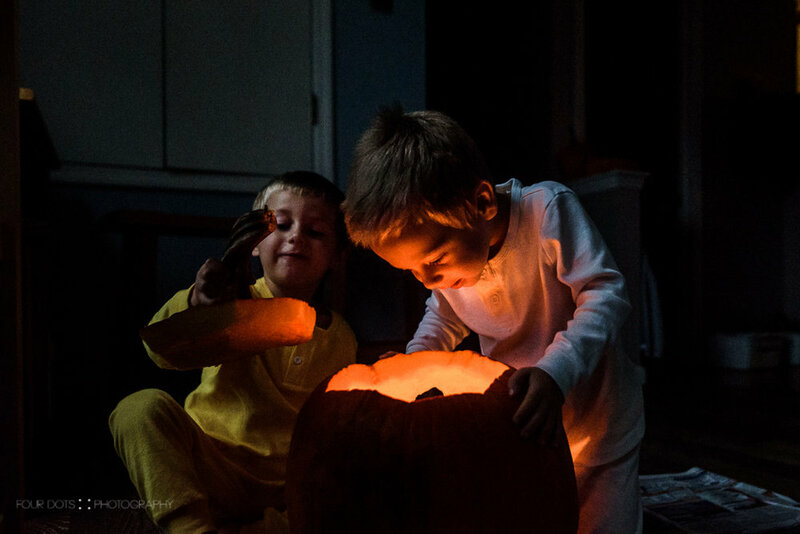 this was the first year that they were really enthralled by the magic of the jack o'lantern, and it brought it all tumbling back for me. it's amazing the power our children have to do that for us, especially when they have no idea at all how magnificent it is for us to experience our own childhoods all over again through them. it's my new favorite kind of magic. keep on clicking around the circle to see more 5 minute snippets of october from sasha kochanowicz!